C’est @fil qui me transmet une référence empreinte d’un gran mystère... Mais quand on voit Duty Free dans le titre, nous, on dégaine ! 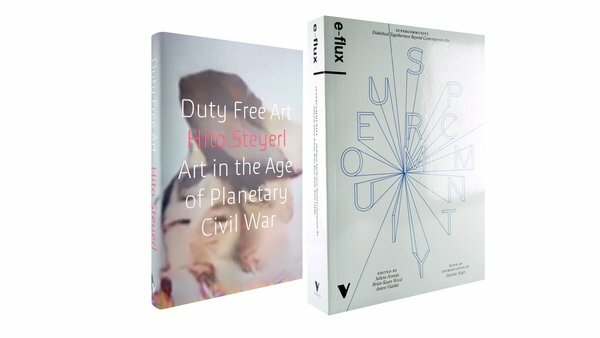 In collaboration with e-flux and Verso Books, the Guggenheim presents the U.S. launch of two recent Verso publications: Hito Steyerl’s Duty Free Art: Art in the Age of Planetary Civil War, a new volume of essays by the writer, filmmaker, and artist; and Supercommunity: Diabolical Togetherness Beyond Contemporary Art, a collection of essays, poems, short stories, and plays by artists and theorists selected from the eponymous 88-text issue of e-flux journal commissioned for the 56th Venice Biennale. The evening will feature Steyerl in conversation with media theorist Wendy Hui Kyong Chun, a presentation by artist and Supercommunity contributing author Liam Gillick, and a one-act play by co-editors Julieta Aranda and Brian Kuan Wood. 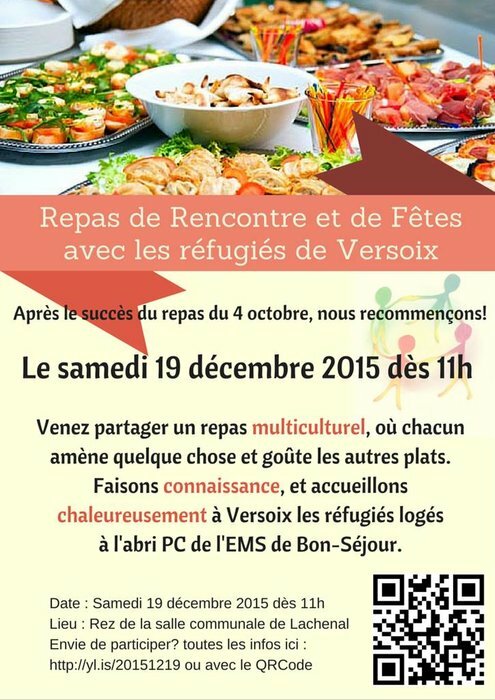 Le samedi 19 décembre 2015, dès 11h, le Groupe aide/contact réfugiés Versoix vous invite à un Repas de rencontre et de Fêtes avec les réfugiés de Versoix.